10-600 Capsules Compatible Nespresso Machines! 15 Flavors mix N Match! New CIÒK! Flavor:Premium Roast | Size:100 count. Sundae Coffee is not affiliated or endorsed by Keurig Dr Pepper. Sundae coffee Ice cream flavored pods are 2.0 Keurig K-Cup Brewer Compatible. A dark roasted coffee featuring a rich flavor and slight sweetness at the first sip, elegantly balanced with a strong intense, full-bodied flavour - characteristic of an Italian-style espresso. I am not to worry anyone, I just wish to be forward in the expectations. Trending at $10.82eBay determines this price through a machine learned model of the product's sale prices within the last 90 days. 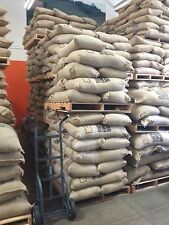 The Starbucks Roast Each coffee requires a slightly different roast to reach its peak of aroma, acidity, body and flavor. We classify our coffees in three roast profiles, so finding your favorite is easy. The use by date is August 21, 2019. I am also including a new unopened pump as well. 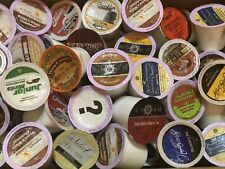 160 K-Cup Variety Pods Coffee, Tea and Hot Cocoa Pods are not compatible with 2.0 Keurig and the BUBD are all in 2018. Please let me know if you have any questions or concerns. Thanks for looking!